Good employees are the foundation of every successful company policy. That sounds like a truism, but it always represents a new challenge. Kögel, the trailer manufacturer from Burtenbach, has therefore had a quiz app developed that is used for training on a daily basis and is also fun. 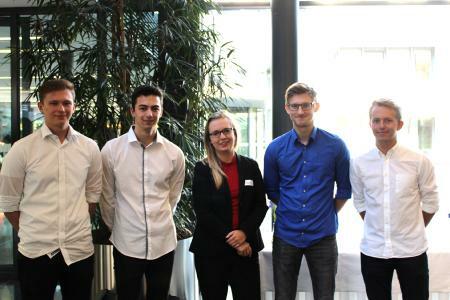 This was made possible by the fourth "Hands-on Innovation" project series of the Swabian Chamber of Industry and Commerce: Students of Business Information Systems and Business Engineering implemented the app as graded project work. 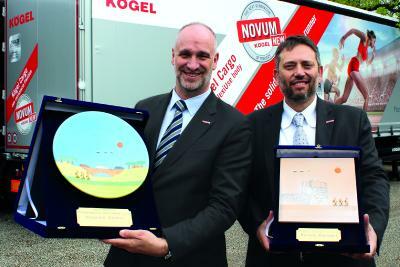 "It's absolutely fantastic," says Petra Adrianowytsch, managing director of Kögel. Dr. Matthias Köppel, head of the Innovation division of the Swabian Chamber of Industry and Commerce, calls the project a "win-win situation". Companies were able to submit their app requirements, which are oriented to specific company needs. Students of Business Information Systems and Business Engineering implemented them and, in doing so, not only learnt about the requirements of the companies but also about the need to meet deadlines. In addition to this, they were able to practise their team skills. In this respect, they worked in teams of three and four and had two months to bring their project to life. "Employees have to continuously improve their skills in the company. The Kögel Academy is responsible for this," explains Stefanie Uehlecke, head of the Kögel Academy. "We commissioned the CIC project to develop an application that conveys knowledge in a playful way and is therefore popular, so that we can do something to increase know-how on a daily basis.” The students developed a general quiz for all employees and also a specific one for an individual department. First of all, the user must work through a presentation, then answer the questions posed in the quiz. These come in the form of multiple choice and open questions. The quiz app is in two languages and has cross-platform compatibility. The users can also create a profile, on which they have an overview of their current level of knowledge. "The project series has grown continuously since 2015," explains Georg Muschik, CIC project manager and head of the Technology and Innovation division. And Dr. Henner Gimpel, Professor of Business Engineering at the University of Augsburg, also expresses his satisfaction: "The students can test their programming skills and their capacity for teamwork under real-world conditions. I would like to express my sincere appreciation to the companies that challenged our students once again." The final presentation of the student projects took place at the Swabian Chamber of Industry and Commerce. It was the moment of truth for the students and an insight into the progress of their app for the representatives of the participating companies. 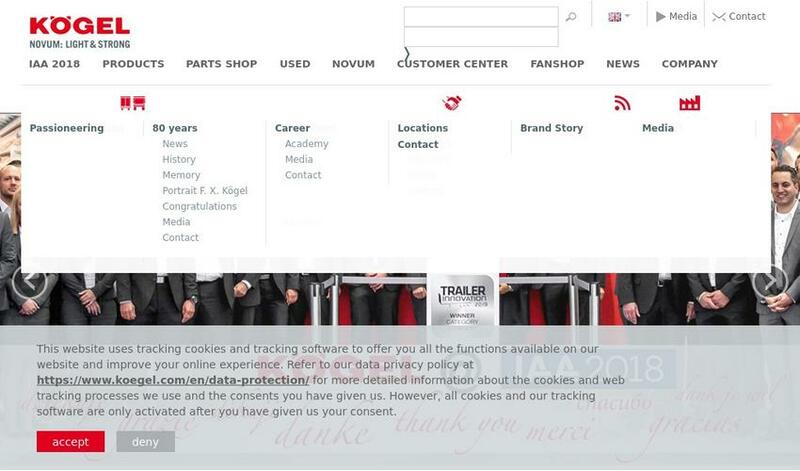 Kögel is one of the leading trailer manufacturers in Europe. Since it was established in 1934, the company has manufactured more than 550,000 trailers. With its commercial vehicles and solutions for freight-forwarding companies and the construction industry, the company has been providing 'Made in Germany' engineering quality for more than 80 years. During this period, it has maintained its passion for transport and innovation, enabling it to offer proven, long-lasting added value to freight-forwarding companies. The company headquarters and main production facility of Kögel Trailer GmbH & Co. KG are located in the Bavarian town of Burtenbach. Kögel also has factories and offices in Ulm (Germany), Duingen (Germany), Chocen (Czech Republic), Verona (Italy), Zwolle (Netherlands) and Moscow (Russia).